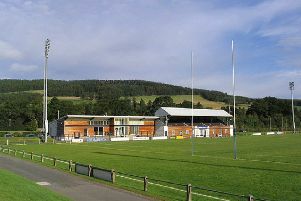 ‘I’ve never seen a Garryowen from your own 22,” someone at Philiphaugh remarked to me last Saturday as we watched an intermittently lively Selkirk beat a Kelso team who had the greater share of possession, but couldn’t really be said to have enjoyed it. The comment rather surprised me because these days it’s quite usual to see the ball booted from the 22 into the midfield rather than into touch. And I suppose the high kick down the middle may be correctly regarded as a Garryowen. 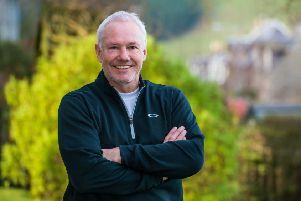 Scotland rugby great John Rutherford has urged all men over 50 to get tested for prostate cancer after winning his own battle against the disease which killed his brother. 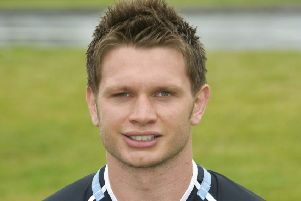 Unquenched by experience, hope springs eternal in the Scottish rugby supporter’s breast. It has had to. 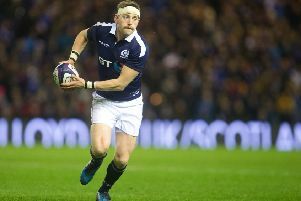 Things would have been intolerable otherwise in the long winter we have lived through since that joyous day in Paris when Scotland ran riot against France and won the last Five Nations title.That was in 1999, when Zander Fagerson wasn’t yet in primary school, and when, for all I know, Finn Russell had not yet handled a rugby ball. 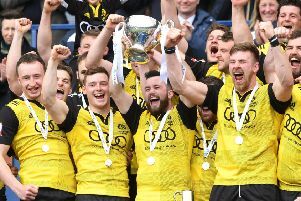 Melrose warmed up for their BT Cup semi-final and Premiership play-off double-header against Ayr with a comfortable win in their final home league game of the season, writes Atholl Innes at Philiphaugh. 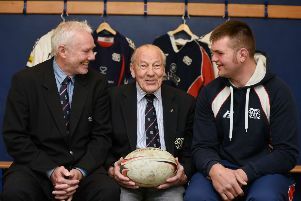 Today’s Six Nations stars train every day and skip the post-match banquet, whereas the players of yesteryear were involved in rather less build-up and a good bit more wind-down – and oh how we chortle at those tales of aftershave-quaffing and the oldest trophy being used as a ball. 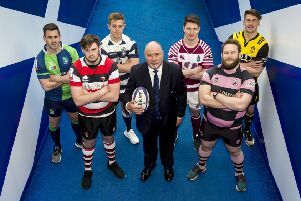 But the yarns can do a disservice to guys like Scotland’s John Rutherford, who was devoted to his sport, otherwise how could he have become the best stand-off in the world? 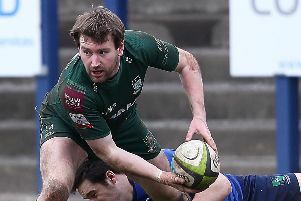 BOROUGHMUIR scored a vital win in their bid to save a possible play-off decider with an emphatic bonus-point win against relegated Selkirk despite playing part of the game with two players cooling their heels in the sin-bin at the same time, writes Atholl Innes at Philiphaugh. 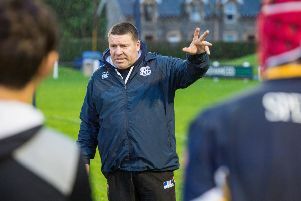 Selkirk are old-school, a Borders team “playing for the toon”, almost totally reliant on players they can produce from within their own community, some of whom – Ronnie Cowan, John Rutherford, Scott Nichol say – will go right to the top. 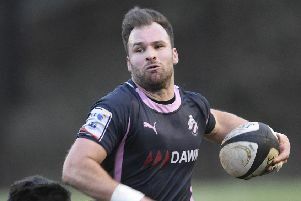 AYR all but guaranteed finishing the regular BT Premiership season in top spot with this 12-try demolition of already-relegated Selkirk, writes Matt Vallance at Millbrae. 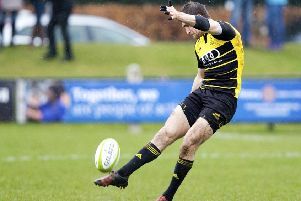 Glasgow Hawks scored five tries to collect a bonus point and maintain a challenge for a Premiership play-off place while, at the same time, sending Selkirk sliding back into the national league in trying conditions at Philiphaugh, writes Atholl Innes. 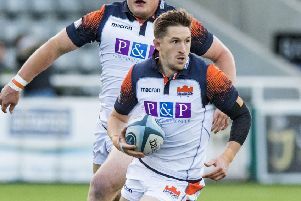 Hawick achieved the five championship points they had targeted after running in four tries against Selkirk in yesterday’s BT Premiership match switched from an unplayable Mansfield Park to Philiphaugh, writes Alan Lorimer. 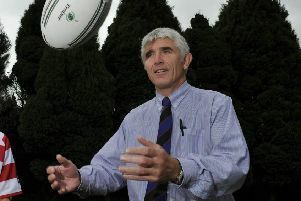 Jim Inglis, known since his now long distant playing days as “Basher”, was one of the best liked and most admired stalwarts of Borders rugby. 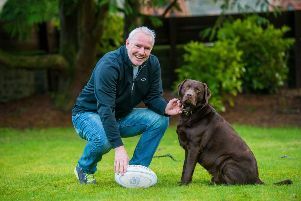 Along with his wife Mary, he received the SRU’s Spirit of Rugby award last year; and there can’t have been a dissenting voice in the Borders or anyone who didn’t think the award thoroughly deserved. 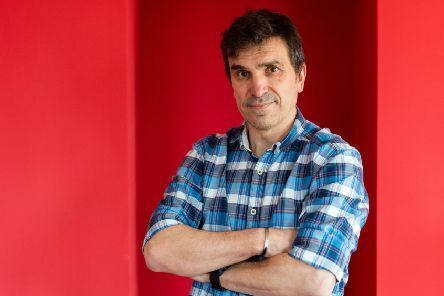 The Scotsman has already paid tribute to him in its obituary and an appreciation, but there are a couple of things I would like to add.